More than half of the buyers in The Howard Hughes Corp.’s first two luxury condominium towers in Honolulu are from Hawaii, with the remaining buyers from Japan, Canada, China, Korea, Australia and the Mainland, the Texas-based developer said Friday in a letter to its shareholders. The Howard Hughes Corp. (NYSE: HHC) said that 25 percent of the buyers of the total of 482 units in the Anaha and Waiea towers under construction in Kakaako — which, combined, are more than 80 percent sold — are from Japan, while about 10 percent are from the Mainland U.S.
Oahu needs to produce about 4,000 units annual simply to meet existing demand, according to the University of Hawaii Economic Research Organization. Honolulu single-family housing permits in 2014 totaled only 809, resulting in an ongoing shortfall that is difficult to close due to the lack of available land for development, the developer said. In May, the developer signed a lease agreement with Whole Foods Market for a 50,000-square-foot store that will become its Honolulu flagship store. In addition to Whole Foods, The Howard Hughes Corp. said its plan for this block includes additional retail and over 400 residential units, designed by internationally renowned architects Bohlin Cywinski Jackson who are probably best known for their work creating flagship Apple stores. The developer received approval for this project in February. 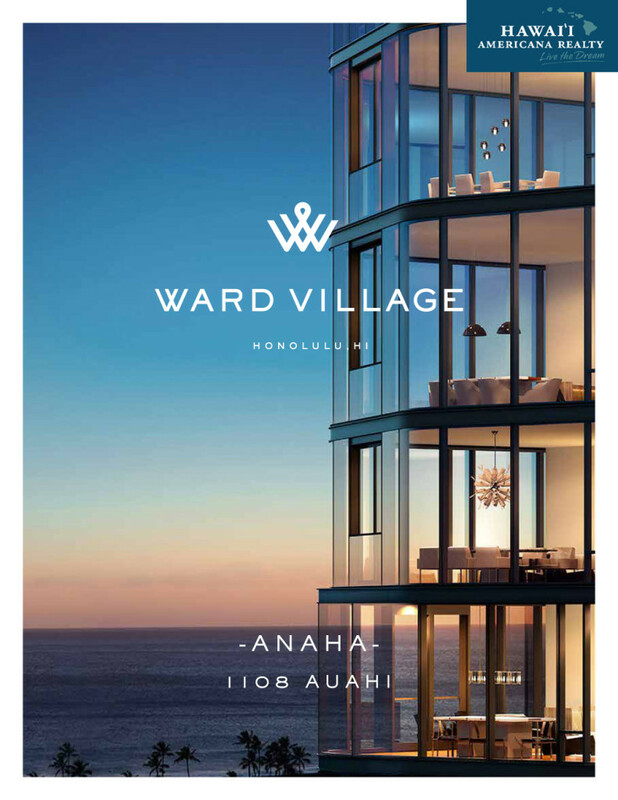 “Our focus on bringing the top architectural talent from around the globe to Hawaii is something that we believe will further separate Ward Village from its competition, creating a community that is unique not just in Hawaii, but benchmarked against other great urban master plans across the globe like Hudson Yards in Manhattan and Battersea Power Station in London,” Weinreb said. The Howard Hughes Corp. said Monday that 88 percent and 78 percent of the units in its two luxury condominiums in Kakaako — 171-unit Waiea and 311-unit Anaha — werre under contract as of Feb. 1, according to the Dallas-based developer’s 2014 annual report. Located on a former surface parking lot fronting Ala Moana Boulevard, diagonally across from Anaha’s site, Waiea is expected to be completed by the end of 2016. Anaha, which is located on the former Pier 1 Imports site, is anticipated to be completed in 2017, The Howard Hughes Corp. (NYSE: HHC) said. As of Feb. 1, it has received $155.8 million in buyer deposits for Waiea and Anaha, which represent $854.4 million of contracted gross sales revenue. Both towers are expected to cost about $804 million to develop. The developer recently closed on $1.3 billion of property financings and refinancings, including a $600 million construction financing for Waiea and Anaha. ONE Ala Moana, a 206-unit luxury condo located on Nordstrom’s parking garage, which was developed in a joint venture involving The Howard Hughes Corp., The MacNaughton Group and Kobayashi Group, closed on the sale of 201 of its units in the fourth quarter. During 2014, the Texas-based developer also entered into a 20-year lease with Whole Foods Market to open a flagship store as part of a residential project in Kakaako. Additionally, The Howard Hughes Corp. got approvals for the Ward Gateway condo towers to be built where Ward Warehouse is now located. The company reported a profit of $111 million in 2014, up slightly from a profit of $109 million in 2013. In the fourth quarter, it reported a profit of about $22 million, down from $44.4 million the same quarter in 2013. 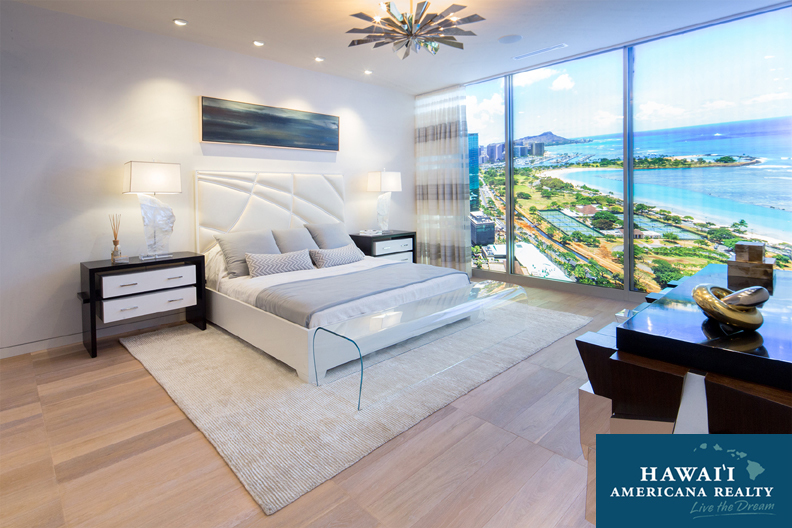 In a model unit of the planned Howard Hughes Corp.’s Ward Village in Kakaako, which will soon be home to two ultra-luxury condominium buildings called Waiea and Anaha, and where a yet-to-be-built penthouse. “Wave at the toilet,” Shanefield, the project’s development manager, tells a guest. With a flutter of the hand, the lid of the electric toilet, which is made by Toto and retails for around $2,500, opens as if by magic. From start to finish, the user never has to touch the lavatory. 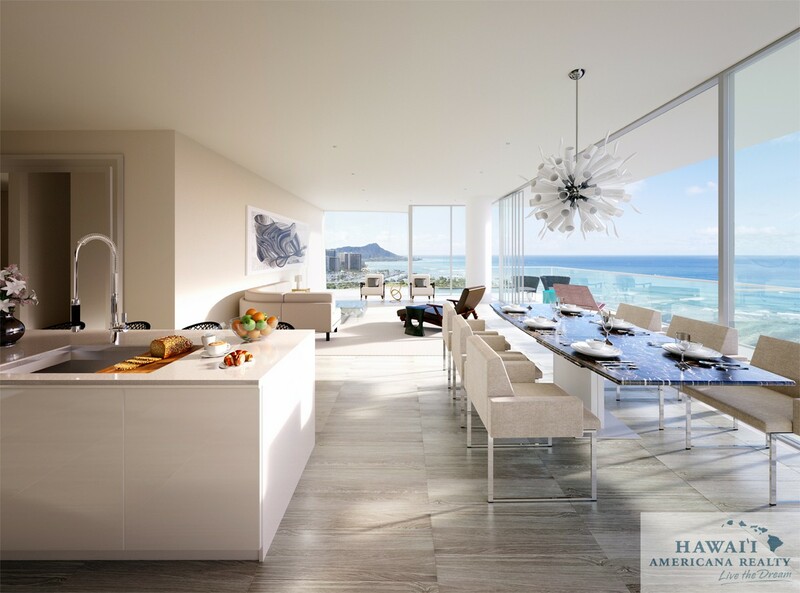 Welcome to the world of high-end amenities that are now becoming more and more standard in new condos and homes in Hawaii. While Waiea and Anaha won’t be ready for two years, sales began last month. And, while members of the sales team declined to disclose numbers, they say that units, ranging from 727 to 3,500 square feet and priced from $500,000 to more than $20 million, are selling at a brisk pace to high-end buyers who are flush with cash and who want the best in the latest high-end amenities. What buyers are looking for now in amenities is function. They want all the “extras,” but not extras such as, say, a gift-wrapping room, or four-inch granite countertops that drive the price of a condo up, when a one-inch countertop will do. They want things, but they want things that they will actually use. Indeed, but while they don’t want an Olympic-sized pool, they do want an infinity pool, which Anaha will have — in some units. And, if they don’t want a mega-sized home, they want one that makes them feel like they are truly living the quintessential Hawaii lifestyle. Many are moving in because he wants a place where he can maintain a healthy lifestyle. More than ever, people are willing to pay for that lifestyle and the amenities that make that possible. That includes building homes that are open and airy, rather than compartmentalized. Home buyers want “flexi-rooms” that can serve dual purposes. “The key amenity is being outdoors,” said Race Randle, director of development for the Howard Hughes Corp. And that includes while showering, which is why outdoor showers are very popular in single-family homes. Rob Kildow, principal broker of Hualalai Realty on the Big Island, sells homes at the resort that range from $5 million to $27 million. People who buy them want to feel like they are outside when they are inside, and vice-versa. “There is no difference from being outside and inside,” he said. Once inside, buyers want the best. 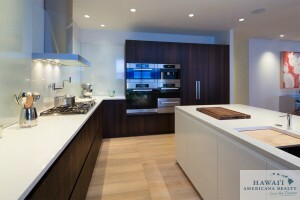 Kitchens at the Hughes projects have quartzite countertops, with no visible handles on the cabinets. A wine cabinet near the refrigerator, which retails for around $8,000, holds 106 bottles. The Miele refrigerator, which retails for around $8,300, through the power of technology automatically lets a repairman know when it needs to be repaired. Speaking of automation, it is now considered a standard amenity. With the widespread use of iPads and other tablet computers, everyone can open their blinds without touching them. They can control the temperature, and high-end security systems let them keep an eye on home while they are away. While the kitchen has always been the hub of many a home, Marion Philpotts-Miller, a principal with Philpotts Interiors in Honolulu, said that is truer than ever today. Separate, alcoved dining areas are out. Developers are concentrating on installing the best appliances, particularly Miele. The Ward Village buildings have Miele ovens — a convection oven, a regular oven and a steam oven – that retail for around $2,000 to $3,000 each. They also feature Miele coffee systems that retail for around $3,000 that Randle calls the best in the world, along with a sliding warming tray for mugs. Light serves as another functional amenity. Outside the residences, the amenity levels of the Ward Village buildings include playgrounds, putting greens, open-air dining areas, steam rooms, bars, tennis and volleyball courts, cinemas, media rooms and libraries. 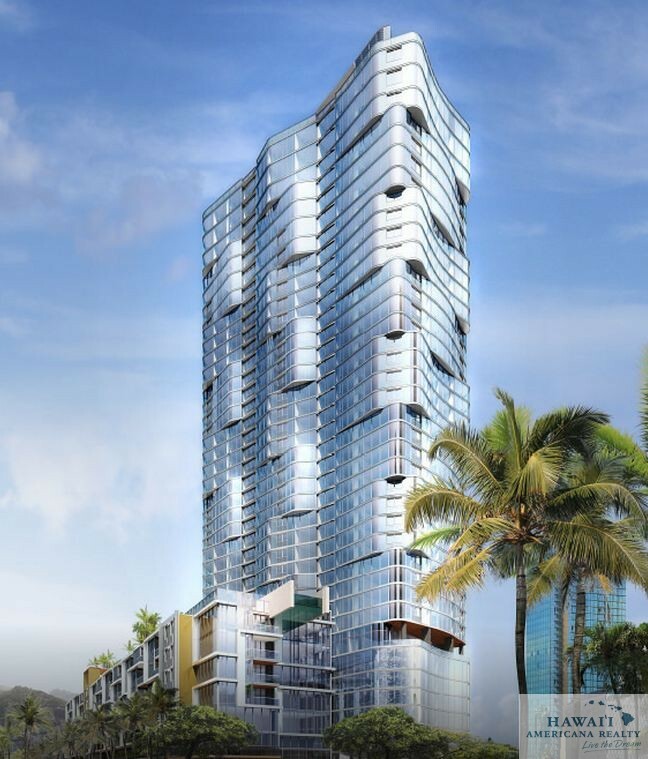 Another major condo project currently underway in Honolulu is ONE Ala Moana, which is being developed by a partnership of the Howard Hughes Corp., The MacNaughton Group and the Kobayashi Group. The building is expected to be completed by the end of the year, and will include a wine-tasting room as well as a chef’s kitchen where residents can host personal chef-inspired dinner parties. Much of the work for these high-end projects is done off-island. For example, the primary architects and designers on the project are located on the Mainland, Randle said, because few firms on Oahu can handle such a large project by themselves. Instead, Howard Hughes has contracted big-name architects Solomon Cordwell Buenz and James K.M. 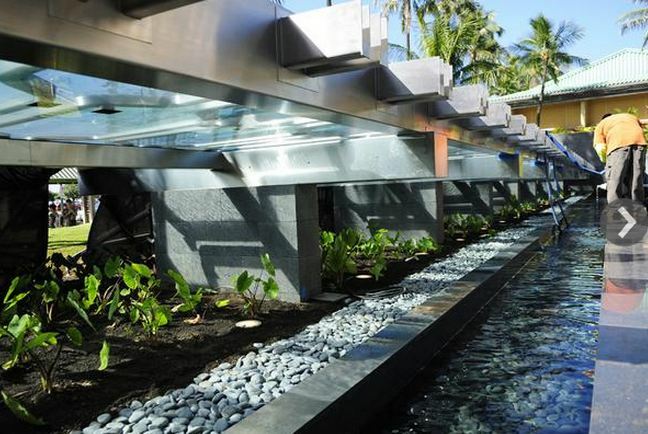 Cheng and paired them with local firms on Oahu, Benjamin Woo Architects and WCIT Architecture. Randle said the pairings work because while the larger firms plan the overall grand vision of the buildings, the smaller firms are local and can handle the day-to-day issues that come up, such as making sure the buildings meet Hawaii building codes. Despite the trend toward simplicity, many mega-rich buyers still want mega-amenities, and Kildow knows them well. He said the most over-the-top amenity he has seen is one homeowner who put in a $3 million kitchen. Jeffrey Long, the founder of Honolulu architectural firm Long & Associates and known for his opulent homes, also has had some over-the-top requests. “One homeowner requested that we design a Star Wars theater for his residence,” he said. “The result was spectacular, with a life-sized C-3PO and R2-D2 and blue LED lights. We also designed a home with an infinity pool on the upper level, right outside the living room, capturing the spectacular views. Long said his firm also has had requests for water parks, indoor car displays and elevators that bring the cars up from the basement. But one request really stands out. “The craziest thing we [designed] for a client was a 20-person home bomb shelter,” he said. From left, David Striph, senior vice president of Hawaii, the Howard Hughes Corp.; David Weinreb, president and CEO, the Howard Hughes Corp.; Gov. 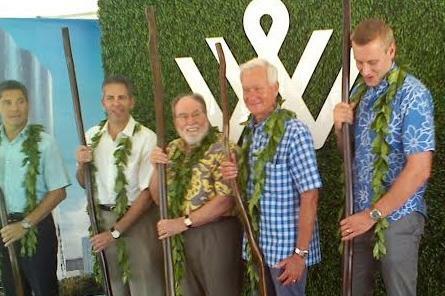 Neil Abercrombie; Mayor Kirk Caldwell; and Nick Vanderboom, senior vice president of development, the Howard Hughes Corp., at the groundbreaking for the Waiea condominium at the Ward Village master-planned community in Honolulu. Howard Hughes Corp. President and CEO David Weinreb was joined by Hawaii Gov. 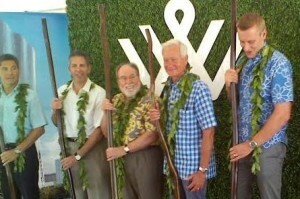 Neil Abercrombie and Honolulu Mayor Kirk Caldwell Saturday for the groundbreaking on the Waiea condominium tower at Ward Village in Kakaako Saturday morning, with the governor saying that the massive residential, commercial and retail community will be like nothing Hawaii has seen before. “Respect the past, but live in the present in order to create the future,” Abercrombie said to an audience of dozens that included future residents of the tower. He said the Ward Village represents a collaboration among political, economic and social circles that has never before existed in Hawaii. If things go according to plan, that future includes two luxury towers— Waiea and Anaha — that will be built by the Howard Hughes Corp. and are geared toward higher-level income residents, as well as other, more affordable condominium towers that will eventually be built. Whole Foods Market (NYSE: WFM) recently announced that it will open a 50,000-square-foot store in Ward Village. The project will have a total economic impact of $975 million and represents $2 million in annual property taxes for the City and County of Honolulu, said David Striph, senor vice president of Hawaii for the Howard Hughes Corp. (NYSE: HHC). Caldwell told PBN that the project has been almost 40 years in the making, since the Hawaii Community Development Authority was founded. He said about $300 million has been put into infrastructure improvements and that Kakaako is ready for such a large project. Weinreb told PBN that the biggest challenge was assimilating the needs of the community into the project. Abercrombie told PBN that seniors will enjoy living in a place where they can walk wherever they need to go. The project represents the beginning of a new era for Honolulu, Caldwell said. The Howard Hughes Corp. has reached contractual agreements for about half of the 482 units in its two ultra-luxury high-rises in Kakaako — Anaha and Waiea — part of its Ward Village master-planned community, according to its first-quarter earnings report released Thursday. “We are pleased with the sales progress to date, which is proceeding according to our expectations for the high-quality residences we are developing,” the Texas-based developer said. It also has received $55 million in buyer deposits, representing about $609 million of gross sales revenue for the two high-rises, which began pre-sales in February. The gross sales revenue assumes that buyers will close on the units when they are completed. Construction of the two towers is expected to get underway this summer. 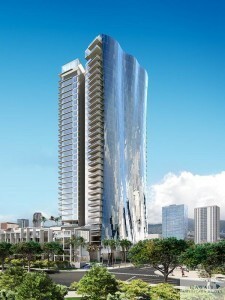 Meanwhile, construction for ONE Ala Moana, a 206-unit ultra-luxury condominium tower being developed in a 50/50 joint venture involving The Howard Hughes Corp., The MacNaughton Group and the Kobayashi Group., is now 52 percent complete with an expected opening in the fourth quarter, the Howard Hughes Corp. said. 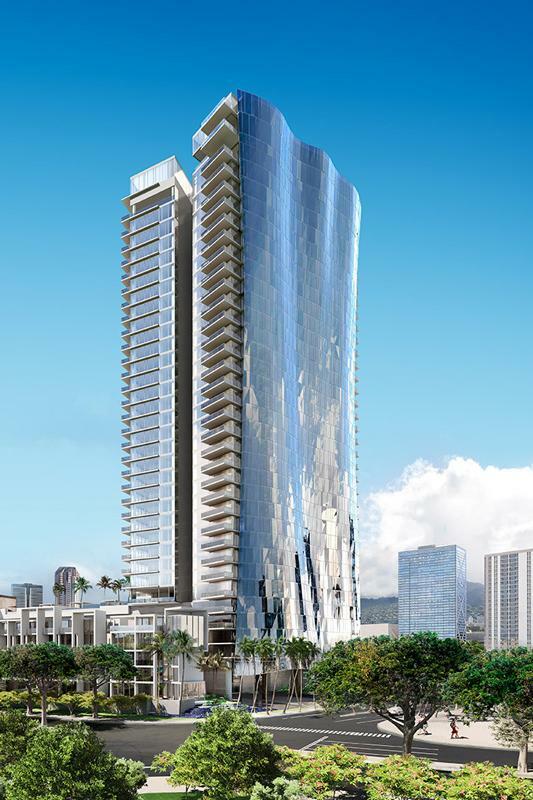 A penthouse in the proposed Waiea tower in The Howard Hughes Corp.’s Ward Village in Honolulu, seen in this rendering has a price tag of $20 million, the developer said Friday. 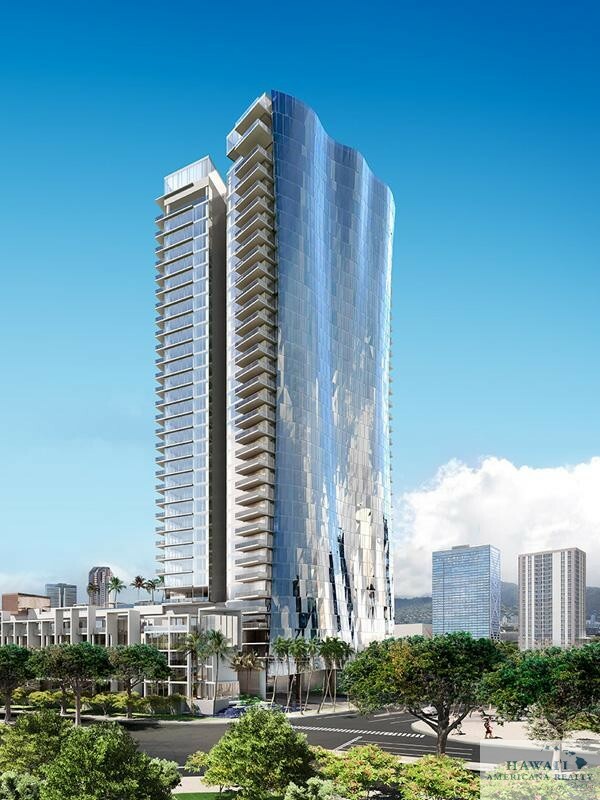 The Howard Hughes Corp.’s two ultra-luxury condominium high-rises in Kakaako, which began the sales process last month, is expected to start construction this summer, the Texas-based developer said in its 2013 annual report to shareholders. 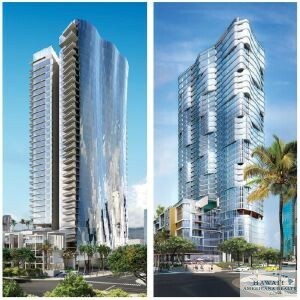 Thus far, The Howard Hughes Corp. (NYSE: HHC) has spent $17.1 million on the development of the two towers, named Anaha and Waiea, which will add nearly 500 residential units to the Honolulu market, including a penthouse with an asking price of $20 million, a record for the highest asking price ever for a new condo unit in Hawaii. The developer also said in its annual report that it sold its rights to its 50/50 development joint venture for $47.5 million in the ONE Ala Moana ultra-luxury condo project, which is under construction atop the Nordstrom parking garage at Ala Moana Center. The 206-unit ONE Ala Moana project is being developed by HHMK Development, which includes The MacNaughton and Kobayashi Group, as well as The Howard Hughes Corp., and is expected to be completed in the fourth quarter of this year. Two new high-rises in Ward Village look to the sea for inspiration. 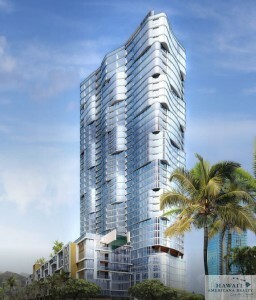 The Waiea condominium tower will be built on the site of a parking lot (1 on the picture), while Anaha will take the former Pier I site (labelled as 2). 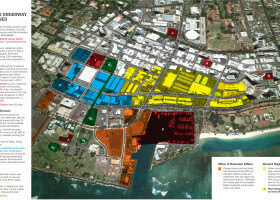 The yellow highlight indicates the Howard Hughes properties in Kakaako. It’s not your imagination, Honolulu is packed with high-rises. In fact, it ranks sixth in the United States —right behind San Francisco—and 30th in the world among cities with the most skyscrapers, according to Emporis, a building-industry information clearinghouse. Since statehood, high-rise condominiums have evolved from concrete towers with prominent lanai into shiny, smooth, glass towers such as Hokua or the Moana Vista. Some look better than others, but one thing none of them do particularly well is tell a story through architecture. That’s about to change with the first two luxury condos that Howard Hughes Corp. will be building in its Ward Village redevelopment. They won’t just offer ocean views, they’ll draw their inspiration from the ocean. Waiea, at 1118 Ala Moana (currently the parking lot across from Ward Theatres), will tap into the area’s fishing history, while kitty-corner from it, at 1108 Auahi St. (formerly Pier 1), Anaha will reflect the ocean in a figurative as well as literal way, with windows and lanai set in undulating rhythms to resemble a procession of waves at sea catching the light. Anaha is designed by Solomon Cordwell Buenz out of San Francisco with local partner Ben Woo Architects. For Waiea’s Canadian architect, James K.M. Cheng, the realization that the original shoreline passes right through Waiea’s site was pivotal to the building’s design. “That got us thinking about how to have a geological relationship with the site as well as a connection to Hawaiian folklore,” he says. The geological relationship will come through in the way the three main masses of the building – high-rise tower, low-rise townhouses and parking structure – will seem to rise up out of reflecting pools and lava rock, as if they were islands themselves. For Cheng, however, the ocean represents a potential threat to the building as well as an inspiration. “We’re aware of the possibility of sea-level rise, that in 50 years it could be higher than today, so all the life-sustaining equipment in the building is placed above grade,” he says. Along the makai side of the building, concrete walls that provide privacy for townhouse residents are also meant to protect the building from possible storm surges. The top-to-bottom glass skin of a modern high-rise is called a curtain wall because it hangs like a curtain from the steel and concrete structure of the building. On Waiea, the glass will look like a curtain frozen in mid-billow, though the designers would prefer if you thought of it as a fishing net. Honolulu architect Rob Iopa, president of WCIT Architecture, collaborated with Cheng on the design of Waiea, for which he did extensive research into the area’s history and legends. In brief, there was a deity for fishing and ocean activities named Kuulakai, who possessed magical fishing tools and who had a son named Aiai. Kuulakai passed his knowledge on to Aiai, and, when the time came for Kuulakai to leave earthly life, he left his fishing tools to Aiai and instructed him to go from island to island establishing fishponds. Aiai did exactly that, finally settling in Kakaako, where he had a son of his own, Puniaiki, who helped Aiai develop fishponds. The fishery just off the original shoreline in the area was known as Kukuluaeo, which is the name of the Hawaiian stilt, a long-legged bird that lives at the shoreline. Before Western contact, Kakaako was filled with inland fishponds, salt pans, marshes and kalo loi, in addition to the thriving fisheries. Landfill between the 1840s and 1880s eventually turned everything from the original shoreline all the way to the inner reef into solid land. The widest fill is everything between Ala Moana boulevard and Kakaako Waterfront Park. While the shoreline changed, things changed dramatically for Native Hawaiians, who once crowded into a shantytown called Squattersville on this new landfill until the area was cleared for a city incinerator. Victoria and Curtis Perry Ward and their daughters then owned everything from Thomas Square to the shore, completing an elegant home called the Old Plantation in 1881 (torn down in 1958 to make way for the Blaisdell Center). In 1919, Kewalo Harbor was dredged, and became home to lumber schooners, then fleets of Japanese fishing sampans. Then light industry and retail came to the area. Now Howard Hughes Corp., with the help of cultural advisors such as Iopa, is infusing its Ward Village redevelopment with nonstop Hawaiian terms, history and cultural concepts. 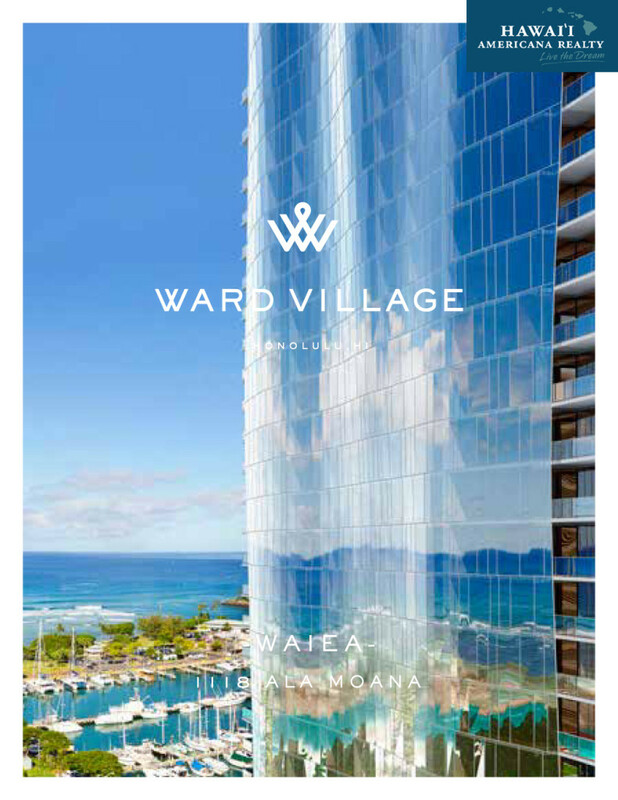 Waiea means “water of life.” Anaha means “reflection of light.” Marketing material for Ward Village talks a lot about modern-day ahupuaa, as if it were possible to go directly from hale pili to high-rises. And yet, it really is crafting a village. As dense as Kakaako is and seemingly packed with people, it’s a bit shocking when Race Randle, director of development for Howard Hughes, reminds me that, in the 60 acres it is redeveloping, there are currently no actual residents. These first two towers, on which construction will start this year, are definitely statement buildings. Studio apartments at Anaha start in the $470,000s and one-bedroom units at Waiea start at $1.5 million. Waiea also features a penthouse with four bedrooms, 4.5 bathrooms and 4,000 square feet of space. * Part of what they’re asserting is an environmental sensitivity throughout the Ward Village concept. So far, so good. In late November, the Ward Village project – the entire 60-acre master plan – was awarded a LEED Neighborhood Design Platinum certification by the U.S. Green Building Council, for sustainability as a walkable, mixed-use neighborhood. It’s the nation’s largest such project and the only platinum-certified project in Hawaii, the design team says. LEED certifications for individual projects such as Waiea and Anaha will be pursued as they’re built. The plan also calls for each tower to have a different team of mainland and local architects, to bring variety to the neighborhood. It would not be surprising, though, if many of the projects have Iopa’s indirect fingerprints, as he has consulted on the master plan itself. 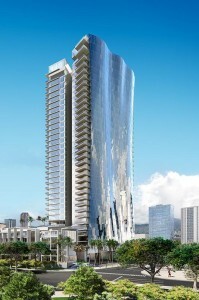 The Howard Hughes Corp., which has plans to build two ultra-luxury, mixed-use condominium towers as part of its Ward Village master plan in Kakaako, on Friday published owner-occupant pre-sales notices for the two projects, including a penthouse with an asking price of $20 million, a record for the highest asking price ever for a new condo unit in Hawaii. Nick Vanderboom, senior vice president of development for The Howard Hughes Corp. (NYSE: HHC), said that sales for the two buildings, Waiea and Anaha, begin Saturday at 9 a.m. The starting price of a studio unit in Anaha, located at 1108 Auahi St. on the site of the former Pier 1 Imports store, is in the high $400,000s to high $500,000s, while a one-bedroom unit ranges between $600,000 and mid $1 million. A two-bedroom unit starts in the high $900,000s to more than $2 million, with three-bedroom units ranging from more than $1 million to more than $4 million, and penthouses priced at more than $1 million to $14 million. A one-bedroom unit in Waiea, located at 1118 Ala Moana Blvd., across from the Ward Entertainment Center, starts at more than $1 million, with a two-bedroom unit going for between more than $1 million to more than $4 million, and three-bedrooms priced from more than $2 million to $7 million range. Penthouses in Waiea range from $4 million to $20 million with villas ranging from more than $4 million to $5 million. Long lines already started forming Friday at the historic IBM building, which has been renovated to include an information center and residential sales gallery for the developer’s Ward Village master plan. “We are pleased to invite all interested members of the public to join us for a first look at these exceptional residences set among dynamic public open spaces and walkable streets in the heart of Honolulu,” Vanderboom told PBN in an email. 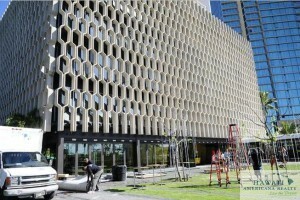 A week ago, The Howard Hughes Corp. unveiled its $24.4 million redeveopment of the iconic IBM Building. 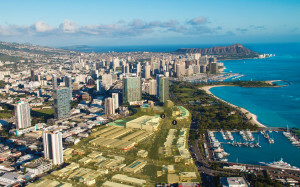 The Howard Hughes Corp. plans to add more than 900 residential units in the first phase of its Ward master plan, which represents more than $1.25 billion in economic impact and thousands of direct and indirect jobs for Oahu, according to a study by ALH Urban & Regional Economics.